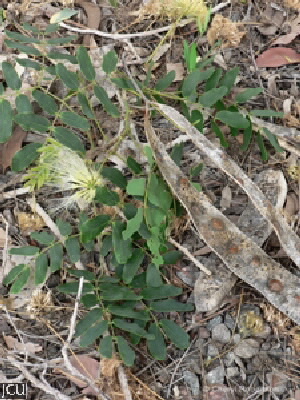 Leaves bipinnate, extrafloral nectaries present. Flowers with distinct pedicels, stamens greenish-yellow. 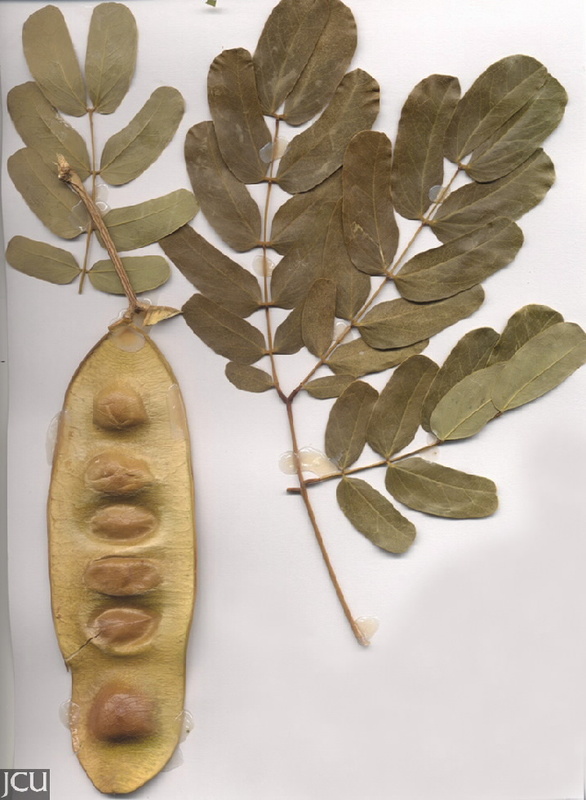 Pod 3-5.5 cm wide, flat to 19-28cm long, seeds circular to oblong, 8-10mm long.